You heard of Twitch Plays Pokemon? We knew we wanted to get the audience involved in our hack. We set out to build something that could bring people together. We wanted to turn an event into a party. 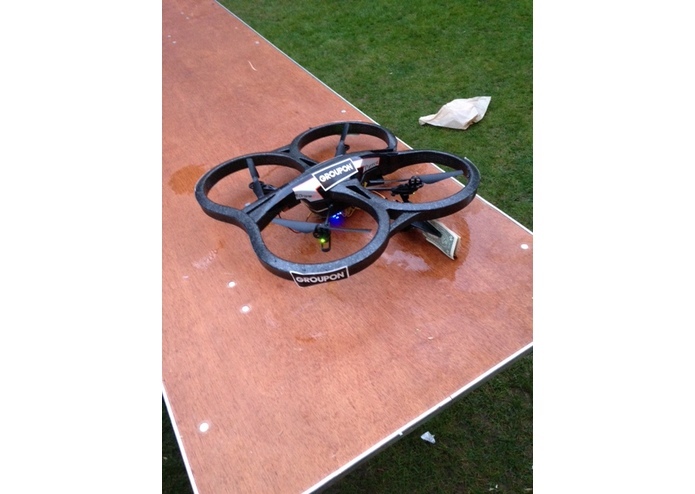 So here's what we did: We hacked a drone to take SMS input from the audience in order to determine its flight path. But why should people care? That's the question we found ourselves asking. So we decided to strap a cash payload to our drone. We figured that should make things interesting. Audience members must work together to get the drone closer and drop its timed payload, but once the cash starts falling, it's a free-for-all. On the server side, we hooked up the Twilio API with Ruby on Rails and hosted it on Heroku. 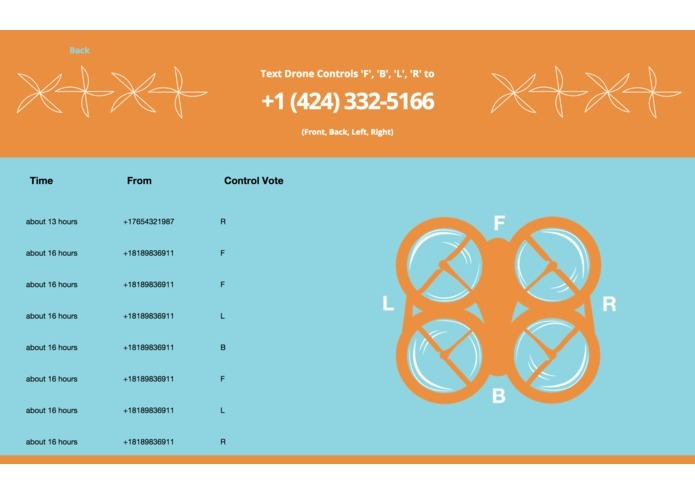 The drone talks to the server for the latest SMS controls and responds by moving in those directions. We also created an online dashboard for the audience to see when their texts are executed. To help our AR Parrot 2.0 Drone communicate with our server, we use a desktop Processing program that sends GET requests for messages and forwards along UDP packets to the drone. 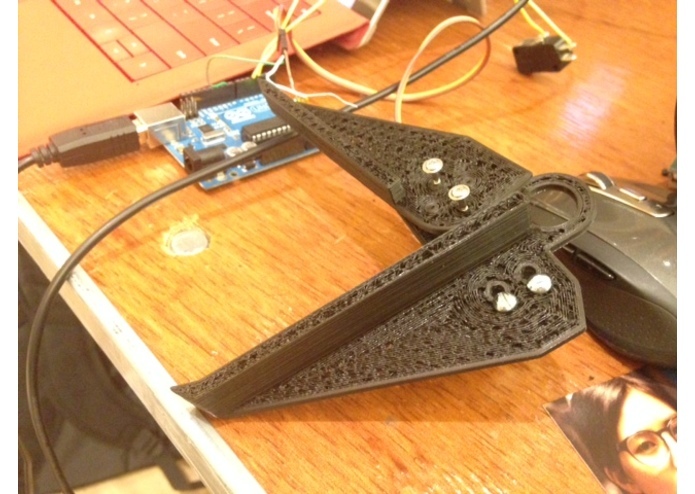 We've equipped the Drone with a 3D printed claw and Arduino in order to hold and release the payload. We experimented with LED displays in order to display the payload drop countdown to the audience, but they significantly weighed down the drone, and thus were nixed from the final product. 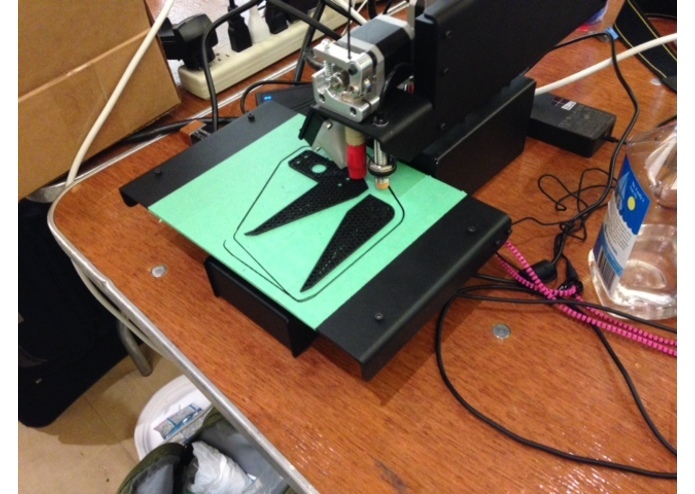 One of our team members brought his 3D printer in his suitcase, so we knew we wanted to take advantage of that. We iterated though several different release mechanisms throughout the process. Future Applications: While this hack started off as a goofy Psychology experiment, we realized this hack could actually have some awesome use cases in live event programming. 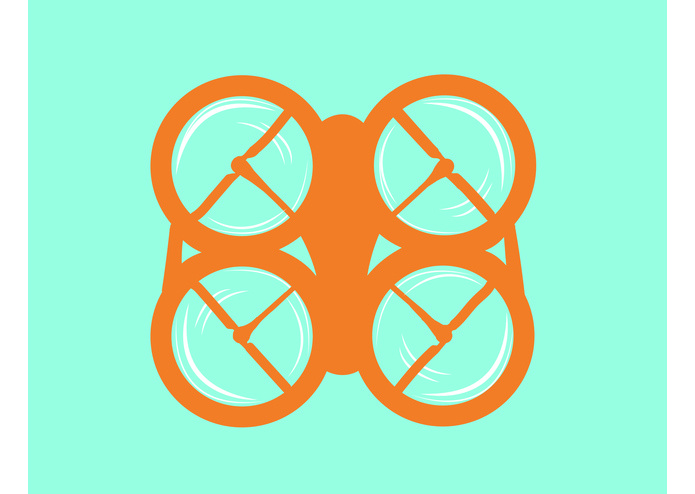 Whether it's football games, music festivals, or student assemblies, our drones explore a new method of engaging and entertaining an audience, where the drone could drop anything from merchandise to small animals (Maybe, still working on the logistics of this one). We think that the success of Twitch Plays Pokemon demonstrates people's growing interest in these types of hacks. This is an unexplored territory with real potential, and we learned a bunch throughout the process. As expected, things will go wrong. Our first two drones were dangerously malfunctional and had to be exchanged for new(er) models. These weren't the only setbacks though. Late in the game we discovered a critical issue with our gameplan. 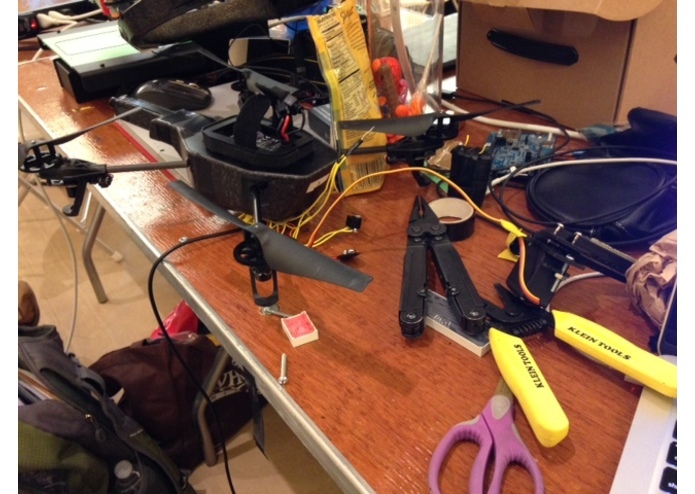 The AR Parrot 2.0 Drones are operated on a local wifi network. Thus our Processing program was unable to simultaneously reach our server and control our drone. Buuuuut we managed to hook up two interfaces (wifi and ethernet) to serve their respective purposes. This miraculously solved our little wifi problem, but several other critical problems popped up not too much later. We had a great variety of skills and personalities on our team, and none of us knew each other coming into TreeHacks. 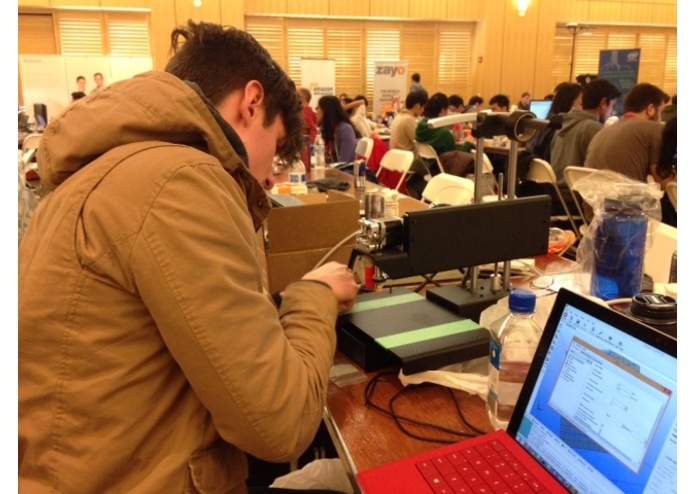 On the hardware side, Sam led us fearlessly through the world of Autodesk, 3D printing and Arduinos. Raphael pushed his Java skills to the limit in implementing the Desktop Application. Carla carefully crafted and designed the website and branding for Sway, bringing perspective and UI/UX expertise along with a deep understanding of the human condition. Eric was responsible for web development, and enjoyed working with Twilio API and Ruby on Rails, learning a great deal from the countless mentors that helped along the way. to the TreeHacks team for putting on such an incredible event. We've learned a lot this weekend and TreeHacks gave us the support and encouragement to build something new and outside our comfort zones, an inredibly rewarding experience. We'd also like to thank the TreeHacks mentorship team. Uber for mentors has to be one of the greatest hackathon developments in recent history and the mentors were beyond helpful. So thanks again to the everyone involved in putting on this event. I built out our server, landing page, and dashboard using RoR and Twilio's API.